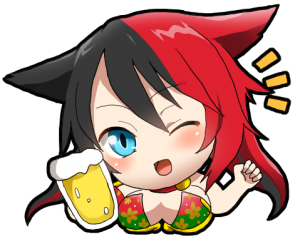 We have an all new Hades Warding, new voice tickets, and a redux event for Sasaki Kojirou for you today! The God of the Underworld is back! If you talk to Chifuri in Onigashima, you will see that the Hades Eleos Warding is now available! You can challenge it on Normal, Hard, or Hell. *In order to challenge this warding, you must clear up to the main quest "To Kishinden", and have talked to Chifuri in the Temporal Rift to unlock the wardings in Onigashima. 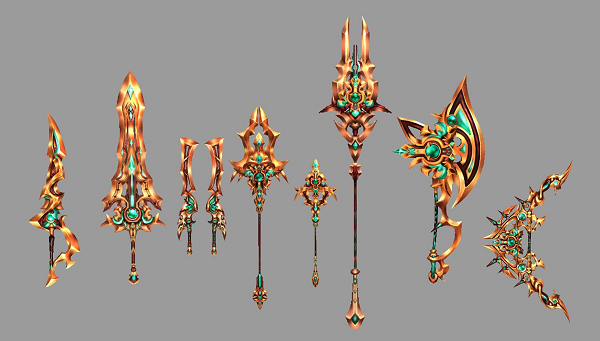 We would like to introduce the Golden Dragon Weapons as well! You can find the materials for these weapons in the Hades Eleos Warding, and the outward appearance of the weapon changes as it grows stronger! Please note that the strongest forms of the weapons (Example: The Golden Dragon weapons with "Grace" in their name) cannot be traded in stalls. You can obtain the recipe and raw materials in the dungeon depending on the degree of difficulty you challenge it on (challenging it on Hell has a greater chances or dropping the items than on Normal). When crafting the "Reminiscence" and "Grace" weapons, the weapon rank below is necessary. Example: Golden Dragon of Light - Reminiscence needs Golden Dragon of Light, and Golden Dragon of Light - Grace needs Golden Dragon of Light - Reminiscence in order to be crafted. We are also holding a Hades Dungeon Boost Campaign! During the duration of this warding, Energy Cost will be lowered, and the drop rate from monsters will be increased by 100%! *This will not increase the Lucky Box or Friendship Item drops in the warding. Additionally, clear rewards will not be affected by this campaign. Please be sure to challenge this warding, as this is your chance to earn maximum rewards! Sasaki Kojirou has a redux event for you! You can start the event by talking to her in Onigashima. The dungeon boss "Sasaki Kojirou" will deal an extremely powerful amount of damage to all partners (excluding regular partners), so please be careful. If you take the partners Sasaki Kojirou or Sasaki Kojirou - Swallowtail in the dungeon with you, their vanguard gauges will increase more quickly. When you clear the quest, you will have access to Kojirou's item exchange with her partner scroll and other fabulous items! You can exchange for 7 Sasaki Kojirou scrolls in her shop, and get the last 3 from dungeon clear rewards! Note: For the Pole - Manifestation Scroll and the Pole - Manifestation Scroll (Possessed), the Sword and Oodachi forms have currently been released. When you complete the quest and raise the partner character Sasaki Kojirou's level to 100, if you talk to the NPC Kojirou in Onigashima, you'll get a message that says this quest is currently not active. You can fix this by changing fields and talking to a different NPC. It will disappear after doing so. *Please note that the limited boosts from the campaign will be removed during maintenance starting 9/2 at 11pm PDT. We would like to introduce the Magatama Nyankoropon! In the newly introduced Platinum Magatama Nyankoropons, the platinum tier is non-existent, but in the gold tier you can obtain the new Magatama and their materials! We have also launched a Mini Character Accessory Nyankoropon! 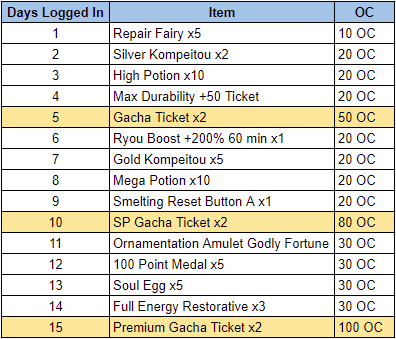 We are introducing a daily login bonus calendar with Kojirou's redux event! Please note that this calendar does not loop. This login calendar will start 7/31 at 00:00, and will last until 8/21 at 23:59. Here are descriptions of some of the new Magatama you can make with ornamentation now! We have an all new Endless Summer OC Campaign for you running from now until 9/3! Get bonus items for each purchase 100 OC or above! *Note: The last OC Campaign has been extended into this one (until 9/3), so all of your purchases from the last OC Campaign will count towards this one! Please take advantage of this! 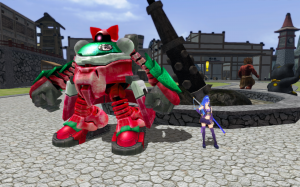 - Mount Characters Fuujin and Raijin has had their model effects slightly altered. - The Makami events and achievements have now ended.